is passionate about building bridges between First Nations and business communities, as a pathway to a strong economic and prosperous future for all. With a background as an educator, an elite military Ranger, and as Manitoba’s Treaty Commissioner, he is uniquely positioned to lead the province’s economic portfolio as the Deputy Minister of Growth, Enterprise and Trade. CONTENTS FEATURE It’s been 50 years since The University of Winnipeg received its charter, and the institution is celebrating its rich history of academic excellence, community, and growing leaders who make an impact on the world around them. Enjoy this commemorative issue, which highlights some of the milestones, memories, events, and people that have shaped the institution over time. COLLABORATING ON SUSTAINABLE ENERGY INITIATIVES Last fall, The University of Winnipeg and the Norwegian University of Science and Technology (NTNU) partnered to draw on complementary expertise involving technologies, governance frameworks, and evaluation methodologies for sustainable energy systems in the High North. The overall goal is to expand and disseminate knowledge relevant to the High North — on topics including climate change, the environment, resources, transportation and logistics, economy, and issues relating to Indigenous peoples. One outcome is the creation of the course Sustainable Energy for Northern Development, which ran in May 2017 at UWinnipeg and was delivered by instructors from both Canada and Norway. In addition, a field school to Churchill in 2018 is in development to enable 20 students to travel between countries and participate in energyrelated research activities as part of thesis projects or project courses. SEEKING TO PREVENT GESTATIONAL DIABETES UWinnipeg’s Dr. Danielle Defries (Kinesiology and Applied Health) has received $32,000 from the Manitoba Medical Service Foundation for her research in gestational diabetes (GDM), a form of diabetes diagnosed during pregnancy that causes a woman’s blood sugar to rise above normal levels. GDM has an impact on the future health of both mother and child, as it increases a woman’s risk of type 2 diabetes, and also increases the chances that her child will develop obesity and type 2 diabetes later in life. Although there are many causes of GDM, some evidence from previous research suggests that improper functioning of hormones released by the intestine, called “incretins,” may be involved. Incretins communicate with the pancreas and trigger it to release insulin, the hormone that keeps blood glucose levels from going too high. Defries believes that GDM may negatively affect this communication between incretin hormones and the pancreas and is hoping to identify areas that could be potentially targeted through drug or nutrition treatments. Megan Rutherford is a third-year physical chemistry student who is working with Dr. Chris Wiebe (Chemistry). She spent 10 weeks studying the quantum behaviour of matter at two prestigious French institutions — the Université Grenoble Alpes, and the Institut Laue Langevin (ILL) both in the city of Grenoble. While at the Université Grenoble Alpes, Rutherford attended lectures and conducted lab work on the topics of crystallography, neutron scattering, and synchrotron radiation. She was awarded an internship at the Institut Laue Langevin (ILL), an international flagship research centre for neutron science. At ILL, she worked on the diffuse scattering spectrometer D7 — an instrument used to study short-range magnetic order with polarized neutrons. Wiebe noted that Rutherford competed with many of the best students in Europe during her stay in Grenoble, and that the experiences was invaluable towards her science education. UWinnipeg student Hilary Pinchbeck has been doing research with Dr. Rafael Otfinowski (Department of Biology), on the restoration of the plains rough fescue prairies in Riding Mountain National Park, in collaboration with Parks Canada. Found only in western Canada, plains rough fescue prairies are one of the world’s most endangered ecosystems because of their conversion to agriculture, invasion by exotic plants, and the suppression of natural fires. As part of the study, Pinchbeck and Otfinowski have been working on the legacy effects of historic cattle grazing on the structure and composition of the rough fescue prairies. Their findings will assist in predicting the response of the community to grazing and to understanding the level of sensitivity the prairies have to disturbance. Park managers and policy makers will be able to design long-term plans to successfully restore prairies from the impact of disturbance and invasive exotic species on a local and global scale. IMAGE O1. Dr. Danielle Defries, Gupta Faculty of Kinesiology and Applied Health IMAGE O2. Physical chemistry student Megan Rutherford IMAGE O3. Plains rough fescue prairies in Riding Mountain National Park Photo by: R. Otfinowski 03. Dr. Annette Trimbee assumed the role of President and ViceChancellor at The University of Winnipeg on August 1, 2014. She holds a BSc from UWinnipeg, a MSc from the University of Manitoba, and a PhD from McMaster University in ecology, and was a Post-Doc in aquatic ecology at the University of Alberta. Photo by: Cory Aronec Photography 01. It is both inspiring and humbling to be in a university that has such a sense of place. There is so much talent, passion, and humanity here. We have conversations on campus that can be very contemporary and heart-wrenching, very real. I also love the rhythms of the university because there is a sense of renewal. We greet students and say goodbye to them; it happens quite quickly, and yet they are transformed by their time here. Q WHAT DO YOU CONSIDER THE BIGGEST ACCOMPLISHMENT SO FAR? A For me personally, it has been the development of our Strategic Directions, partly because of the process, which included a lot of input and engagement from our staff, faculty, and students, and ownership by the Board of Regents. It sets our direction for the future and says we will focus on five areas (academic excellence and renewal; student experience and success; Indigenization; research excellence, knowledge mobilization and impact; financial and institutional resilience). Each of these areas is equally important and by working on all five, it will have a huge impact. A We have always attracted faculty, students, and staff with a sense of social justice and a desire to live their lives with purpose. Our role is growing leaders who are having an impact in our city and country and beyond. When I talk about leaders, I don’t mean the title that someone holds, but the contribution they make to the causes that matter to them. It may sound like a cliché, but UWinnipeg really does have a history of punching above its weight. People are often surprised by where our alumni end up and the significant contributions they are making. Q IF WE LOOK AHEAD TO THE COMING YEAR, WHAT DO YOU MOST WANT TO SEE ACCOMPLISHED? A We need to keep moving forward with our Strategic Directions plan. For instance, with Indigenization, getting a mandatory Indigenous Course Requirement (see page 34) was a huge step — but there is more to go, such as Indigenizing our spaces. One of the things we are doing this year is taking a look at our campus development plan and how we can modernize our library, for example, and pay attention to our older buildings. The first part is figuring out what we need, and the second part will be how to secure the necessary funding. A I am touched by how invested people are in this university, how much they care. I am glad people have embraced the Strategic Directions because it gives us a common framework to work from. NEW ACADEMIC STUDENT JOURNAL LAUNCHED UWinnipeg has launched a new multidisciplinary, peer-reviewed, academic student journal entitled Crossings, with a mandate to showcase outstanding undergraduate and graduate research in the humanities and social sciences at The University of Winnipeg, including research on such timely and important themes as gender and representation, Islamophobia, and decolonization. The inaugural issue was produced in January 2017 and features 19 student essays from various disciplines. The Crossings editorial team is led by Dr. Jane Barter, Department of Religion and Culture. Beginning September 2017, The University of Winnipeg Professional, Applied and Continuing Education (PACE) is offering a new program designed to give professionals the skills they need to become leaders in corporate responsibility. Graduates of PACE’s new Sustainability and Corporate Responsibility Certificate program will have the expertise to develop sustainability strategies that cover a range of organizational challenges — such as reducing greenhouse gas emissions, maximizing operational benefits to local communities, and improving corporate health and wellness efforts. The program is offered on a part-time basis and consists of five courses that can be completed in a little over one year. CREATING AN ENVIRONMENT OF INNOVATION The Manitoba Technology Accelerator (MTA) and UWinnipeg’s Faculty of Business and Economics are collaborating on a 10-month pilot project to establish an entrepreneurship and technology accelerator on the University’s campus. The aim of the pilot project is to encourage entrepreneurship and technology acceleration across all disciplines. The MTA is a not-for-profit business accelerator that provides commercialization support to help promising technology start-ups go from “good idea” to “investable business”. A steering committee will evaluate the project after 10 months with the hope of establishing a permanent arrangement. SENIOR EXECUTIVE RETIRES Bill Balan joined UWinnipeg in 2006 on an executive interchange from the federal government. Among his senior administrative roles, Balan was VicePresident, Finance and Administration and most recently headed up Capital Planning and Strategic Initiatives for the University. He played a strong leadership role in the development of more than $200 million in UWinnipeg capital projects over the course of a decade, which were instrumental to anchoring and spurring downtown revitalization. With a deep connection to Winnipeg and the Ukrainian community, Balan helped negotiate academic agreements between UWinnipeg and five universities in Ukraine. He also assisted in creating the Ukrainian Bilingual program in Manitoba. Balan retired from UWinnipeg in March 2017, amid best wishes from the campus community. Fourth-year science student Rebecca Pedneault received this year’s Geography and Environmental Students Association (GESA) Eco-Grant for her project to bring plastic bag recycling bins to UWinnipeg’s campus. Pedneault teamed up with the Multi-Material Stewardship Manitoba (MMSM) and Winnipeg Harvest "Bag it Forward" program, which collects thousands of pounds of bags each year for reuse and recycling. Winnipeg Harvest uses the clean bags to create emergency food kits, and turns the ripped or dirty bags into usable plastic products. The six new Bag it Forward bins on campus were provided by MMSM and are located in the Riddell Hall cafeteria, the Centennial Hall Buffeteria, the Duckworth Centre, the Buhler Centre, the Richardson College for the Environment and Science Complex, and the AnX. The University of Winnipeg has received provincial approval to create a new two-year Master of Arts in Criminal Justice degree, which can be pursued full- or part-time and will include the option to take courses in the Indigenous Governance and Public Administration graduate programs. It is the first graduate program of its kind in Alberta, Manitoba, Saskatchewan, or Northwestern Ontario. The MA in Criminal Justice will offer a stream designed for professionals in the various sectors of the justice system and one for research students. An important focus of the program will be on Indigenous justice issues, supporting and extending UWinnipeg’s commitment to the Indigenization of its curriculum. It is expected to begin in 2018–19 and ultimately accommodate 25 students. NEW ASSOCIATE DEAN OF ARTS Dr. Catherine Taylor has been appointed Associate Dean of Arts for a five-year term starting July 1, 2017. Taylor is a professor cross-appointed to the faculties of Arts and Education. She has held a variety of administrative positions at UWinnipeg, recently serving as Chair of the University Human Research Ethics Board and as Director of Academic Programs in the Faculty of Education. Taylor is widely known for her work on sexual and gender diversity and social justice within K–12 education. Her research has resulted in many publications and presentations reaching scholars, educators, and government officials — and has directly informed policy and law development across the country. CONTINUING A TRADITION OF GENEROUS SUPPORT A Message from The University of Winnipeg Foundation Thank you to the more than 10,000 donors and supporters of The University of Winnipeg from the last 50 years. The 2016–17 academic school year saw many achievements at The UWinnipeg Foundation. In November, we hosted our 10th (and most successful) annual Duff Roblin Dinner — netting over $160,000 on behalf of student awards, bursaries, and community outreach programs, while honouring local philanthropist Gerry Price, CEO of Price Industries. Stay tuned for our special 50th Anniversary Duff Roblin Dinner this fall, where we will honour prominent businessman Dr. Bob Kozminski, who is vice-chair of the UWinnipeg Foundation board of directors. This year, the Foundation also ran our most prosperous annual Campus Campaign, thanks to the generous faculty and staff of UWinnipeg who helped raise over $1 million for University initiatives. Furthermore, in January we surpassed our $4-million campaign goal for Leatherdale Hall, which will open this spring and revive our beloved Tony’s Canteen after a decade of absence. I hope you will come and visit the new space — either for an event, or a stroll down memory lane. When you do visit, please come and find me or my team, and share a story with us about your time on campus. I also encourage you to complete and return the “Share Your Stories of Yesteryear” postcard found in this magazine, as part of the University’s 50th anniversary celebration. We want to hear about your experiences on campus, and make this a year to remember! YOU HAVE BEEN AT UWINNIPEG FOR 30 YEARS. WHAT HAS BEEN A CAREER HIGHLIGHT FOR YOU? Dr. Neil Besner has served The University of Winnipeg with passion and distinction for 30 years. He will retire from UWinnipeg at the end of June. Besner’s UWinnipeg career began on August 1, 1987, when he arrived as a tenure-track professor in the English department. He was quick to take on important administrative roles — Department Chair, Dean of Humanities, and founding Dean of Arts — and ultimately became Provost and Vice-President, Academic. Besner has a passion for literature and language, and was the institution's resident grammarian extraordinaire. He is past-president of the Manitoba Writers' Guild and of the Winnipeg International Writers' Festival. He shares his expertise through Prairie Fire and Turnstone Press, and in reviews on CBC and in the Winnipeg Free Press. Besner has received numerous awards at UWinnipeg, including the Marsha Hanen Award for Excellence in Creating Community Awareness. A Without hesitation, teaching. Everything starts with the students; in fact, I just marked my last exams and that was really hard. When I came here in 1987, I took a pay cut. I was earning exactly $32,858, and I never regretted the move here. Winnipeg has such a thriving artistic scene. I have made lifelong friends here. Q WHAT IS THE BEST THING ABOUT UWINNIPEG? A I have never been in a community like this one, where you know everyone’s name…faculty, staff, and many of the students. You don’t get that in a larger university. As my anthropology friend says, we live in a village at UWinnipeg. It is a very special and unique place, and I will miss it. A Lunch at the so-called “Captain’s Table” in Riddell Hall. This was a loose assembly of about 20 people who would meet for many years, and it was a great way to connect with people from different departments and disciplines. The Faculty Club on Friday afternoons was also great; and of course, I love the squash courts. Q WHAT WILL YOU DO NOW? A I intend to spend time at the lake. I am really looking forward to having the time to read deeply, to think, and to write. I will try to retire. she said. “By the end of my year, we were making strides.” In 1999, CKUW had made the big leap to FM, thanks in part to Firlotte’s efforts. Today, the station operates 24/7 and represents a wide variety of music genres with a focus on the vibrant local scene. CKUW is a reflection of the community that creates its programs, holding a mandate to present music and viewpoints that are unique. The station broadcasts 120 hours of original programming weekly, and has an average listenership of more than 20,000 people. CKUW is presently seeking to build and move to new studios on the first floor of UWinnipeg’s main campus. The station has recently launched a campaign called “Raise the Volume” in support of this initiative. “It would amount to a transformative shift,” said Firlotte. “This bigger, more accessible, and visible space is key for CKUW to reach even greater potential!” CKUW can be heard at 95.9 FM. It can also be heard online at ckuw.ca, along with access to archives of past programs. Wesley College, later renamed Wesley Hall, was the campus’ principal building until the mid1900s when increased enrollment, new programs, and the conversion in status to an independent degreegranting university required substantial campus expansion. While Wesley Hall’s status as UWinnipeg’s most iconic building, as well as its exterior, has remained relatively unchanged over time, the campus has most definitely changed around it. The Library has been a constant presence in Centennial Hall since the early-1970s. Less constant has been the ways in which students, faculty, and staff use the Library and obtain information. Researchers thumbing through card catalogues meticulously listing the Library’s titles have been supplanted by students, faculty, and staff searching the Library catalogue online via computers and mobile devices, from within the Library or anywhere else within the wired world. This corner of the Buffeteria is now the UPLINK Computer Common, but some things never change. Fred Penner, one of the University’s most famous alumni, has been entertaining audiences for over forty years now. The styles and the habits of those in the crowd may have evolved over time, but Penner’s magnetic connection with his audience is steadfast . Vehicles of all sizes created noisy, polluting disruptions for The University of Winnipeg community as Spence Street ran right through the heart of campus for many years. Today, pedestrians and bicycles have taken the place of buses and cars as the Spence Street Promenade between Ellice and Portage avenues provides a more serene and ecofriendly — yet still very busy — route through the campus core. UWinnipeg’s story is made up of more than 50,000 stories: those of the many students, alumni, donors, faculty, and staff members who have made — and continue to make — an impact on our campus and on the world around them. Our Impact 50 project is a celebration of the collective impact of our rich and diverse University community. On the following pages, you’ll find a small sample of the researchers, educators, scholars, community builders, industry leaders, and UWinnipeg supporters who are making a difference. Adored singer, songwriter and entertainer, Fred Penner is synonymous with tremendous family fun. Renowned for his song The Cat Came Back, which resonates with children of all ages, Penner has entertained children across the country and around the world for decades. In 1991 he recieved the Order of Canada for his work as an entertainer and humanitarian. An accomplished local business leader, Diane Gray is the founding president and CEO of CentrePort Canada — North America’s largest inland port. She has been instrumental in developing the unconventional idea into a 20,000-acre national and international transportation hub that continues to expand and thrive. Hundreds of youth in Winnipeg’s West End have access to a 24-hour safe space thanks to International Development Studies graduate, Jamil Mahmood. He has also helped create youth sports teams, homework clubs, and drop-in programming for inner-city and refugee youth in the neighbourhood, which is one of the poorest urban areas in Canada. Dr. Sandra Kirby is an accomplished scholar and a former Olympic athlete with the Canadian Rowing team who has dedicated much of her career to eradicating sexual harassment, abuse, homophobia, and violence against children in sport. Through her research and engagements with international organizations, she has been a tireless champion of human rights. Impact 50 is neither a ranking nor a list. It is a continually growing collection of stories — and we invite you to add yours. Dr. Chris Wiebe’s research focuses on the new materials that now define our world, from the electronics inside an iPad to the superconducting magnets inside MRI machines. He is UWinnipeg’s Canada Research Chair in Quantum Materials Discovery and member of many leading national science programs. The late Mary Young was an inspirational mentor and advocate who worked diligently to reconnect many Indigenous youths with their home communities, culture and languages. She worked to help residential school survivors combat discrimination, incorporate the wisdom of Elders into modern society, and ensure the survival of Indigenous languages. Muuxi Adam is a Somali refugee who was kidnapped at the age of 14 during the country’s ongoing civil war. After escaping captivity, he arrived in Winnipeg in 2004. Adam graduated from UWinnipeg with a double major degree and has devoted his career to working with newcomer communities in Winnipeg’s inner city. After graduating from United College in 1950, Dr. Lois Wilson was ordained in the United Church. She is widely known for being the first woman moderator of the United Church of Canada and for her work in government. She is recognized as a Companion of the Order of Canada and received the Pearson Medal of Peace. Katrina Leclerc is the Lead Youth Advisor for Manitoba Senator Marilou McPhedran. She works to bring Canadian youth from all walks of life together to create engagement, demystify the Senate, and learn about relevant youth issues. She is a bilingual young woman whose passions lie in good governance and international women’s rights. program. An award-winning former athlete, she mentors and inspires young women to succeed on the court and give back to the community. Tanya was inducted into the Manitoba Basketball Hall of Fame in 2003 and has been recognized for her many volunteer activities focused on coaching and developing young women. The University of Winnipeg is located in Treaty One territory and the homeland of the Métis Nation. UWinnipeg is committed to advancing reconciliation, and in 2015 signed the Indigenous Education Blueprint, which takes action on the Truth and Reconciliation Commission’s recommendations. Fifty years ago, a small downtown campus called United College received a charter and became The University of Winnipeg. The charter was granted thanks to recommendations made by the Council of Higher Learning, which recognized that United College could only take advantage of its unique situation in downtown Winnipeg with institutional autonomy. The 1967 charter began a period of intense self-scrutiny and strategic planning, giving rise to The University of Winnipeg’s identity as an urban university with a social responsibility to the community surrounding it. That urban identity has guided and shaped the University since 1967 — and in turn, downtown Winnipeg itself. UWinnipeg’s establishment was largely thanks to its first president, Dr. Wilfred Cornell Lockhart. In 1961, as principal of United College, he invited members of Manitoba’s other three church-affiliated colleges (St. John’s, St. Paul’s, and St. Boniface) to collaborate on a report to the provincial government expressing concerns about post-secondary education in the province1. The paper led to the formation of the Council on Higher Learning in 1965, and ultimately the granting of charters to Brandon University and The University of Winnipeg in 1967. The meetings of the Council were mostly held at United College, owing to its central location; Dr. Lockhart was a foundational member as well as the Chair of its Arts and Sciences Committee. Independence for United College was not his ultimate purpose, but it was a direct consequence of his planning and thinking. At the time, United College offered a traditionally structured liberal arts undergraduate program. Its physical campus mirrored the traditional structure of its programming: seven buildings of disparate ages and architectural styles, surrounding a peaceful inner quadrangle that echoed classical campus design, all of it circumscribed by a fence. Beyond that fenced perimeter lay Winnipeg’s 1960s downtown, the problematic subject of urban planning strategies for decades to come. The campus was a sanctuary that provided a sheltered space for conventional scholarly work, but it was intentionally insulated from its urban environment. downtown3. It was the first such program in Canada4, and bore a through-line to the Division of Continuing Education, rolled out in 1974, and to present-day Professional, Applied and Continuing Education (2012). Other mold-breaking examples with import in the present include the Administrative Studies degree introduced in 1970 and the daycare that began in the basement of Bryce Hall in 1974. These sorts of ventures broke risky ground, but took root and flourished owing to the University’s unique urban situation. UWinnipeg’s traditional liberal arts curriculum had a reflection in its cloister-like campus; as the curriculum evolved to meet the demands of an urban university, so too did its facilities. One of the first gestures made by President Dr. Henry Duckworth in 1971 was to remove the fence around campus “as an earnest of our good intentions.” He stated as such in his inaugural address just after announcing the aforementioned downtownwide University at Noon program5. The fence’s removal was a small but important symbol of the University being released into the city, as much as welcoming the city into the University. A responsibility to the surrounding community continued to guide other physical changes to the University’s campus. The most significant was the construction of Centennial Hall, designed to “reach out to the persons living in its vicinity and respond to their needs,”6 as an embodiment of the University’s then-slogan: “the city is our campus.” The Duckworth Centre and Child Care Worker Training Program, both opened across Spence Street in 1984, are later examples that the University boasted as “tangible, concrete evidence of its commitment and dedication to the community around…to serve the world beyond its academic population.”7 They were designed with the needs of the people living in the surrounding neighbourhoods in mind. A similar spirit of community inclusion guided the recent design of the Axworthy Health & RecPlex8. These inclusive designs were departures from traditional thinking about the purpose of a liberal arts campus in 1967. The University of Winnipeg’s impact in its urban role on our downtown cannot be overstated. One need only imagine alternate dystopian futures for Winnipeg, whereby United College had moved to the University of Manitoba’s Fort Garry campus in 1958, leaving the downtown to fend for itself; or perhaps where the University had demolished its iconic Wesley Hall and built up a series of office-style high-rises — as several potential expansion plans recommended — instead of Centennial Hall. Perhaps the University might have been less bold in pushing the borders of its traditional liberal arts curriculum, and never opened the Institute of Urban Studies in 1969. The early work of the Institute, under its director, Lloyd Axworthy, directly informed the 1979 Core Area Agreement.9 That legislation, of which Axworthy as a Member of Parliament was a signatory, led to the Winnipeg Development Agreement and the North Portage Development Corporation as well as later successors: bodies responsible not only for funding many of the University’s own urban endeavours, but also for shaping downtown as we know it today. Our downtown without The University of Winnipeg simply would not be the same. Fifty years ago, a small downtown campus called United College received a charter and became The University of Winnipeg. All the strategic planning of the time pointed to the University’s downtown location as one of its key strengths and rationales for establishment. The idea of the urban university formed a trajectory for UWinnipeg that has carried it to the present, shaping its curriculum and its physical structures to accommodate the needs of the people living and working in its downtown environment. The downtown is not complete — renewal is a living process and takes new shapes alongside society itself. The University’s 50-year urban legacy, therefore, is only a beginning. 1. United Church Archives PP116, Wilfred C. Lockhart fonds, Council on Higher Learning 1961-1965, File 14. “A submission to the Premier and Government of the Province of Manitoba on behalf of St. John’s College, St. Boniface College, United College, St. Paul’s College,” October 1961. 2. University of Winnipeg Archives UW-2-1, Development Plans for the University of Winnipeg 1967-1983. “Interim Report of the Examination of Potential Role, Size and Campus Development of United College at Winnipeg, Manitoba,” 26 June 1967, p. 28. 3. Ibid. p. 29. 4. University of Winnipeg Archives UW-2-1, File 1. Werier, Val, “Lunch-time classes on Portage.” Winnipeg Tribune, 21 October 1971. 5. University of Winnipeg Archives AC-18-1, Special Events, File 5, University of Winnipeg – Centennial Celebrations 1971. “The Installation of Henry Edmison Duckworth as President and Vice-Chancellor,” 16 October 1971, p 13. 6. University of Manitoba Archives, Digital Collections, The Winnipeg Tribune. “New U of W Hall Opened,” 25 September 1972, p. 23. http://libguides.lib. umanitoba.ca/archives, accessed 3 April 2017. 7. Krotz, Larry: “The Downtown University: Serving Its Community.” University of Winnipeg Journal 2:2 Winter/Spring 1985, p. 5. 8. Axworthy, Lloyd. “State of the University Address,” 7 September 2012. http://uwinnipeg.ca/president/ state-of-the-university-address.html, accessed 2 March 2017. 9. Krotz, pp. 6-7.
cultivated her passion for the arts through the acting program at UWinnipeg. She won a Gemini award in 1997 for her lead role in “North of 60,” and as an Honorary Witness for the Truth and Reconciliation Commission, Tina produced the RWB’s “Going Home Star,” guided by Indian Residential School Survivors. A 25-ton granite boulder from Lake Agassiz was laid and dedicated by President Duckworth on the front lawn. The first “Great Rock Climb,” in which teams sprint from the steps of Wesley Hall to the top of the rock, took place in 1972. The record (9.8 seconds) set in 1979 remains unbroken. Started in the 100th anniversary year of Manitoba College’s founding, the building’s modernist design aimed to mirror the conceptual blueprint of the University itself — based on accessibility, visibility, and integration with the surrounding community. Dr. Lockhart, the principal of United College, became the first president of The University of Winnipeg. Celebrations for the Act were held at the beginning of the University’s first academic session on Charter Day, September 15th, 1967. 02. INSTITUTE OF URBAN STUDIES FOUNDED > December 8, 1969 The founder and first director of the Institute was Dr. Lloyd Axworthy, an alumnus of United College who returned to become The University of Winnipeg’s president in 2004. 05. ATHLETIC CENTRE OPENED > September 14, 1984 The building, located at Spence and Ellice, was renamed Duckworth Centre in January 1992 to honour former President Henry Duckworth, who never missed a Wesmen game. On this date, the Wesmen defeated the University of Manitoba Bisons, 89–57, to achieve an 88-game winning streak — which tied a North American record set over 20 years before. The space was restored to its original glory through both government funding and private donations (including a $500,000 gift from Douglas and Louise Leatherdale), for which it was awarded the Heritage Winnipeg Preservation Award of Excellence in 2008. The Circle ensures the inclusion of Indigenous perspectives to University governance. Its membership represents urban, rural, and northern Indigenous peoples in Canada, as well as other international Indigenous communities. > November 20, 2015 The University phased out its residence buildings (Sparling and Graham Halls), and converted them entirely to offices by 1989; the campus went without any residence for 30 years until the opening of McFeetors Hall: Great-West Life Student Residence. There’s more than one semi-centennial celebration on campus this year. The University of Winnipeg Wesmen Athletics program celebrated the 50th edition of the Wesmen Classic men’s basketball tournament in December 2016 — a milestone occasion for an event that has become a staple in Manitoba and Canadian basketball. “Very few events ever get to their golden anniversary, and certainly not many sporting events,” said UWinnipeg Athletic Director Dave Crook. “The importance that the Classic holds in this province’s basketball community came to light with the 50th this past December, and the Wesmen are proud of the achievement.” Fittingly, the annual holiday tradition served as the kickoff to UWinnipeg’s own anniversary festivities in 2017. Both the tournament and the University’s 50th anniversary were highlighted during an event on December 6 that included a friendly shootout between Premier Brian Pallister and then-Point Douglas MLA Kevin Chief — a Wesmen alumnus. The Premier had some Wesmen help of his own; he was joined by a member of the women’s team — his daughter, Shawn. The event also featured the long-awaited reveal of the new Wes Lee Coyote mascot, whose makeover was made possible by a crowdfunding campaign in 2016. Wes Lee was one of several special guests honoured throughout the Classic. “We were especially lucky to be able to recognize two key members of the Wesmen family and the Manitoba basketball community: Vic Pruden, the founding father of the tournament; and Bill Wedlake, who has done more to impact this event in the past few decades than anyone else,” said Crook. On the court, Sisler defeated Dakota in the high school final 74–61, while Garden City defeated Kelvin in the junior varsity final 71–58. The University of Manitoba Bisons defended their university championship by defeating the University of Alberta Golden Bears 86–78. The Wesmen defeated the University of Victoria Vikes 64–63 in the third-place game. 1938 On March 8, 1938 after years of cooperation and negotiation, Wesley College and Manitoba College joined to form United College, which existed until The University of Winnipeg Act in 1967. 1967 On September 15, 1967 The University of Winnipeg celebrated its Charter Day in conjunction with the University’s first academic session. Fine art objects have been acquired by The University of Winnipeg and its founding colleges for more than 100 years — beginning with commissioned portraits of campus administrators, and continuing with donations from faculty, staff, alumni, and friends of the University (as well as from prominent artists themselves). When UWinnipeg received its charter in 1967, the University administration was inspired to consider expanding the fine art holdings on campus. Tentative steps were taken at first: UWinnipeg’s first president, Dr. Wilfred Cornett Lockhart, obtained a few works by Manitoba artists during his term. In 1978, UWinnipeg’s second president, Dr. Henry E. Duckworth, recognized the importance of carefully developing an art collection and announced the appointment of Patricia E. Bovey (then with the Winnipeg Art Gallery) as the University’s first art curator. Bovey was also a sessional instructor in the University’s History of Art program during this time. Although her position was parttime and her contract short, she accomplished a great deal for the University’s art collection. Bovey was followed by Susan Moffatt, a graduate who carried out collections management duties on an interim basis. Shortly thereafter, independent curator Martha Cooke was employed for five years, when she conducted research on artists represented in the collection. In the spring of 1986, University Vice-President Academic Dr. Ross McCormack appointed History of Art faculty member Dr. Sarah McKinnon as the new art curator, a position she held until she left Winnipeg in 2001. McKinnon oversaw the renovation of a former classroom located in the heart of campus to its current incarnation as Gallery 1C03. She also grew the University’s fine art collection: during her 15-year tenure as curator, the number of core works in the University’s art collection tripled. Since it opened in the autumn of 1986, Gallery 1C03 has presented more than 130 exhibitions that have been seen by nearly 150,000 visitors. Gallery programming has featured diverse media by local, national, and international artists. Exhibits have intersected with various programs of study at the University, thereby providing the campus and local community with opportunities to learn about visual art. Today, The University of Winnipeg holds more than 1,000 artworks, with a core collection of approximately 550 pieces. The collections mandate has remained consistent with the goals established by former curators Bovey and McKinnon: the acquisition of 20th century and contemporary art by established Manitoba artists. Surprise. Shock. Shame. These are a few of the common reactions students have as they learn — usually for the first time — about the treatment of Indigenous people in Canada over the last century. 02. “Most students are completely unaware of how punitive government policy and practice has been, and continues to be, against Indigenous people,” said instructor Karen Froman (History). “Our idea of ourselves as Canadians is that we are nice and polite, so it is a shock to learn otherwise.” The University of Winnipeg was one of the first universities in the country (along with Lakehead) to mandate that new students have a baseline knowledge about Indigenous people and culture. In September 2016, the Indigenous Course Requirement (ICR) came into effect for all new undergraduates; to date, more than 1,500 students have enrolled in one of the 40 ICR courses. UWinnipeg student Patricia Bulos, who is on her way to becoming a teacher, was born in the Philippines and came to Manitoba twelve years ago. She enrolled in an ICR-approved course called History of Indigenous Education: Residential Schools & Beyond. “My family and I did not know anything about Indigenous people. After taking this class, I see things around me in the city differently, and I am able to tell my friends, too. I understand why some people are on the street and struggling; the reason they are there is more than we think.” Bulos says knowing more about Indigenous history will make her a better teacher. “I want to help my students eliminate negative stereotypes. It is important to learn this at an early age.” The courses students can select are housed in several departments and range from History of the Métis People of Canada (History) to Indigenous Literatures and Culture (English). More are in development for approval by UWinnipeg’s Senate. is passionate about the rights of all people. At age 16, she helped start Winnipeg’s chapter of Oxfam Canada, the international human rights organization. She received a scholarship to attend UWinnipeg, but donated it to benefit others. Megan was an inspirational speaker to 16,000 youth at WE Day in 2013. Since its 2013 publication, the illustrated picture book for young people, Pīsim Finds Her Miskanow, has sold over 2,600 copies — to parents as well as to schools and educational distributors. Because of this response, the project will not stop there. The team is working now on researching and expanding the series with more books, as well as producing an interactive digital version of the story. This will make the narrative and information more accessible to all audiences: young people, adults, families, teachers, educational institutions, and the general public. In 1993, the 350-year-old remains of a young Cree woman were discovered in Nagami Bay, Manitoba. This important archaeological discovery was the subject of a detailed study by researchers from the Manitoba Museum and, more recently, inspired the development of a fictionalized account of a week in the life of the young woman, reimagined as a 13-year-old girl, Pīsim, in the mid-1600s. In collaboration with researchers from the museum and The University of Winnipeg’s Centre for Research in Young People’s Texts and Culture (CRYTC), author William Dumas and illustrator Leonard Paul weave together the story of Pīsim with complementary information about Cree culture, language, and life. The result is a moving literary and historical text, honoured in 2014 as an outstanding example of the public communication of archaeology by the Canadian Archaeological Association. Author William Dumas says that this book was created to be “a medium for the reclamation of Rocky Cree culture.” The digital version of the text, he believes, “will be a very useful tool in the classrooms, in the homes, and even at a higher academic level.” Most importantly, from his point of view, the project as a whole captures “our journey together” of researchers and community members. The project’s overall goal is to advance the ongoing work of reclaiming Rocky Cree languages, histories, and knowledge. Through the telling of stories about Pīsim and her kinship group, Dumas and the research team aim to deepen our collective understanding of Canadian society and to inform the search for reconciliation between Indigenous and nonIndigenous Canadians. Dr. Mavis Reimer was convinced she was an expert in English literature. And then she had a daughter. “I loved to read, I was an English literature scholar with an MA in the field, and I had no idea how to choose good books for a kid,” said Reimer, now Dean of The University of Winnipeg’s Faculty of Graduate Studies. “I thought, ‘that is odd. What’s wrong with my education?’” With that, Reimer, then on a hiatus from her graduate work, had discovered a lifelong passion: children’s literature. When she returned to doctoral studies 10 years later, she shifted the focus of her research from Renaissance and Jacobean-era dramas to the texts of L.T. Meade, a popular author of British girl’s stories at the end of the 19th and early 20th centuries. interest in Wilbur, readers are asked to read with both of the central characters at different points. … There’s a fairly complicated experience being created for young readers.” While children’s texts may seem to be a niche study, UWinnipeg has been home to several trailblazers in the field, including Dr. Kay Stone, who taught the first children’s literature course at the University, and internationally recognized author and critic Dr. Perry Nodelman. That list includes Reimer, who has forged an impressive path during her career. In addition to her numerous publications on the subject, she served as a Canada Research Chair from 2005–2015, during which time she established the Centre for Research in Young People's Texts and Cultures at UWinnipeg. She also played a key role in the founding of the University’s Faculty of Graduate Studies in 2012. MA and began producing free lunch-time concerts in a lecture theatre, as well as art shows in the library’s Hamilton Galleria. The lecture theatre housed the University’s old Steinway baby grand piano, which was used in many recitals before EckhardtGramatté Hall was established in 1993 with a new nine-foot concert-grand Steinway. In 1986, the University accepted the MA proposal to establish a campus art gallery (Gallery 1C03), with a professional art curator* to run it, The MA committee became the M(usic) committee. *The late UWinnipeg President Dr. Henry E. Duckworth recognized the importance of carefully developing an art collection, and in 1978 he announced the appointment of Patricia E. Bovey — then a curator at The Winnipeg Art Gallery — as the University’s first art curator. After producing some major evening concerts at off-campus venues, the Music committee morphed into what is now Virtuosi Concerts and the Skywalk Concerts & Lectures Series in 1990. The Virtuosi series was co-presented by CBC, with most concerts taped for national broadcast. Both series continue to symbolize the University’s dedication to cultural and community programming. Strub believes all faculty and staff serve as UWinnipeg ambassadors: The Skywalk series is a showcase for UWinnipeg’s faculty, and serves as a community outreach initiative offering accessible arts and educational programming at the Millennium Library. The Skywalk series became so popular — with over 2,000 patrons annually — that the nearby overhead pedestrian walkway was officially renamed “The Skywalk”. With Strub’s leadership, both programs have enhanced the quality of the arts in the city and UWinnipeg’s reputation as a centre of cultural excellence. Their success is reflected in their longevity and continued growth over the last quarter of a century. hotelier Ben Sparrow, CEO of Sparrow Hotels. It was heartening to witness how these established alumni mobilized their knowledge and wisdom to benefit students and new alumni who are just starting out. Our council continues to hear remarkable stories of leadership among UWinnipeg alumni. This past winter, Ruth Dickinson (our council vice-president) had the idea to gather 11 past-presidents of the Alumni Council for a brainstorming session. From this group of leaders, we learned a great deal about the institutional legacy of our council, along with its historical challenges and successes. We also recognized the tremendous value of community leaders who make an important contribution to UWinnipeg, which is itself perpetually growing to meet the concerns of its students and community partners. Moments of enlightenment also arise in meeting with students and alumni at public lectures and networking events. Our regular program of activities on council, for instance, includes the ever-popular Food for Thought event (at which we hand out healthy snacks and free pizza to students studying for exams) and social events like the Holiday Jingle, Trivia Night, Alumni Authors Book Club, and our upcoming Family BBQ in the Park. As we look to next year, our council is enthusiastic about further increasing our impact upon The University of Winnipeg community. We are always looking for volunteers for our mentorship program and for our annual roster of activities that serve students and recent graduates. In all of our endeavours, we strive to make continuous learning a possibility for UWinnipeg alumni from all walks of life. ALUMNI AND FRIENDS RECEPTION IN ALBERTA Alumni Affairs organized UWinnipeg cocktail receptions this past fall in Calgary (October 19) and Edmonton (October 20). The events were hosted by Dr. Annette Trimbee, President and Vice-Chancellor of The University of Winnipeg, and Mr. Brian Lawrence Daly, President and CEO of The University of Winnipeg Foundation. The inaugural Classics Alumni Night was held March 3, 2017 at The University of Winnipeg Club. The night was highly successful, with over 40 current and former Classics majors in attendance, along with current faculty members. The department is planning more alumni events next year! Visit facebook.com/uofwclassics to keep in touch with all that's happening in Classics at UWinnipeg. The University of Winnipeg Alumni Association Annual General Meeting will be held on Thursday, September 14, 2017 at 7:30 pm in the Richardson College for the Environment and Science Complex (599 Portage Avenue). The first-ever UWinnipeg Alumni Holiday Jingle was held on December 21, 2016 at The University of Winnipeg Club. The event featured a fire pit with marshmallow roasting, hot chocolate, carol singing in front of Wesley Hall, campus tours offered by student ambassadors, gingerbread house decorating, and face-painting for kids. Response from alumni to the event was excellent and Alumni Affairs plans to make it a yearly happening! RSVP by September 7 to 204.988.7118 or alumni@uwinnipeg.ca. All University of Winnipeg alumni are invited. This past November marked the beginning of the fourth year for the UWinnipeg Golden Key Chapter, a student-based group with a mission to have its members realize their potential through the advancement of academics, leadership, and service â&#x20AC;&#x201D; especially in volunteerism and community service. The chapter annually welcomes new honorary members, the most recent being UWinnipeg Chancellor Robert Silver and Kevin Lamoureux, Associate VicePresident, Indigenous Affairs. Share your experience and insight about your chosen career. —Let’s keep in touch! 01. Alumni of The University of Winnipeg are encouraged to keep their contact information current by contacting the Alumni Affairs office by phone at 204.988.7118 or 1.888.829.7053, or by email at alumni@uwinnipeg.ca. 02. Interested in a free library card, discounted membership at The University of Winnipeg Club, or a discounted fitness membership at the Duckworth Centre? Contact Alumni Affairs for your free alumni card to take advantage of these offers. 03. University events are held in various cities several times per year — let us know where you are and we’ll be sure to send you an invitation when there’s one in your area. 04. It’s never too early to plan a reunion for your student group or class year! September 15, 1967 marks UWinnipeg’s charter day — and Homecoming Weekend 2017 will celebrate this 50-year milestone. Is your class, faculty, or team interested in celebrating a milestone reunion in 2017: a 10, 25, 40, 50 or 60-year anniversary? Be it Collegiate, United College, PACE, Wesmen, or a specific graduation year? We can help organize the event — get in touch and let's get the party started! 05. Tell your classmates what you’re up to by sending us your Class Act entry for UWinnipeg Magazine. 06. 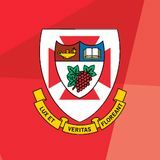 Visit the Alumni Affairs web page at uwinnipeg.ca/alumni for the latest news and events, and from there, check out our Facebook, Twitter, and LinkedIn pages to instantly connect with other UWinnipeg alumni. A University of Winnipeg Library bookplate is a meaningful way to remember an alumnus or commemorate a special occasion or celebration. Please contact The University of Winnipeg Foundation at 204.786.9999 to request yours. Bookplates are available with a tax receiptable minimum donation of $50. /60 PAPPAS, JIM (BA 64) and ROBSON NOWELL, CAROL (BA 64) are regular contributors on CJNU.CA 93.7 FM. A Class Act with Jim Pappas airs every Monday from 3:00 – 6:00 pm. Carol and her husband Jim Nowell have been working together on other shows, too (Jim at the controls and Carol on microphone), which air on alternate Wednesdays from 3:00 – 6:00 pm. /70 DE LUCA, RAYLEEN (BAH 79) was appointed as a Member of the Order of Canada for her contributions as a clinical child psychologist and for her dedication to improving the lives of vulnerable Canadian children and families. Also the first female director of clinical training at the University of Manitoba psychology department, De Luca has presented on women’s issues internationally. She was awarded The University of Winnipeg Alumni Association's Distinguished Alumni Award in 2006. WALSH, SHERRI (Collegiate 78, BA 81) has been appointed as the City of Winnipeg’s first integrity commissioner. The job involves offering ethical advice to members of city council, investigating allegations of conflicts of interest, and reporting on real or perceived conflicts. WALTON, DIANE (BA 73) co-founded and is Managing Editor of On Spec, a literary journal which has been published in Canada since 1989. On Spec has won several awards and launched a number of Canadian writing careers. BRECKMAN, WARREN (BAH 86) is an established scholar of history and political science and is the Rose Family Endowed Chair and Professor of History at The University of Pennsylvania. He hosted a Wine and Cheese Mentorship Evening on UWinnipeg’s campus, presented by the Alumni Association Council, in December 2016. LEWAK, JONATHON (Collegiate 89, BA 96) runs the blog JonTheBlogcentric, where he posts mostly movie reviews and sports predictions for major events. SQUIRE, SHELAGH (Collegiate 82, BAH 86) writes as Jen Gilroy, and her debut novel, The Cottage at Firefly Lake (a 2015 finalist for Romance Writers of America’s Golden Heart Award), was published by Hachette Book Group USA, Grand Central Publishing, Forever in January 2017. After many years spent working in England, she returned to Canada in 2015 and now lives with her husband and teen daughter in a small town in eastern Ontario. MORRISON, CATHERINE (BAH 70) is a writer, editor, and strategic communications consultant with Long Haul Media. She also performs as jazz vocalist Katie Diamond. PINKARD, ALISON (Collegiate 75) is a retired nurse living in Calgary. She is an avid golfer and enjoys travelling with her husband. BELTRAMI, HUGO (BSc 4-yr 80) is a professor and Canada Research Chair (Tier I) in climate dynamics at St. Francis Xavier University in Nova Scotia. His research is focused on fundamental scientific challenges related to the overall characterization of the energy exchange between the atmosphere and the shallow part of the earth’s continental crust — an interface extremely important for life on our planet. YOUNG, (JENNIFER) LISA (BAH 88) has been reappointed Dean and Vice-Provost (Graduate Studies) at the University of Calgary. BUCHHOLZ, GARTH (BA 94) is a certified usability analyst who works for the Government of British Columbia as a digital strategist. He teaches classroom and e-learning courses about social media for Royal Roads University. Garth is also a published author, poet and photographer. ESTERHAZY, DANISHKA (BAH 95) received the Amazon Video Direct Inaugural Filmmaker Award at the 2017 Sundance Film Festival. FENNELL, ROBERT (BA 91) recently published a book titled: Both Sides of the Wardrobe: C.S. Lewis, Theological Imagination, and Everyday Discipleship. The authors in this collection examine Lewis’s many contributions and reflect deeply on their significance for theology, spiritual imagination, and the challenge of Christian discipleship today. GIBSON, JENNIFER (BAH 94) is the Director/Curator, Gallery 1C03 at The University of Winnipeg. The gallery recently held an exhibit called Moving Images that featured 23 short films and videos created by artists affiliated with The University of Winnipeg. The exhibit was organized in recognition of the gallery’s 30th anniversary and UWinnipeg’s 50th anniversary, and was co-curated by Jennifer and art historian/film critic Alison Gillmor (BAH 85). SPARROW, BEN (Collegiate 93) is the CEO and owner of Sparrow Hotels. Ben hosted a mentorship wine and cheese event, organized by the UWinnipeg Alumni Association Council, in March 2017. WYATT ANDERSON, CONNIE (BEd 82) was named the Chair of the Geographical Names Board of Canada in May 2015. It is a 5-year honorary term and she is thrilled to be a Manitoban and alumna of The University of Winnipeg. BARANOWSKI, MICHELLE (BA 08) is a Lieutenant in the Royal Canadian Navy. She works as the Logistics Officer in Her Majesty’s Canadian Ship Winnipeg, a Canadian patrol frigate named after the City of Winnipeg. The ship is based in Esquimalt, British Colombia. KASLOFF, SAMANTHA (BScH 06) worked as a consultant for the United Nations Food and Agricultural Organization under the Emerging Pandemic Threats 2 Program, involved in procurement projects for laboratory strengthening of African veterinary and research diagnostic institutes. She is currently with the Canadian Food Inspection Agency at the National Centre for Foreign Animal Disease. MARTIN, SUZIE (BAH 08) has moved to Edmonton to take the Masters of Fine Arts (MFA) directing program at the University of Alberta. She has chosen the play God’s Ear as her thesis project. God’s Ear did a 10-day stretch of performances at the Studio Theatre at the University of Alberta last October. /10 DICKINSON, RUTH (BA 15) earned the Dr. and Mrs. Roderick Hunter Scholarship. Dickinson, who graduated with the Chancellor’s Gold Medal, Geography Major Gold Medal, and the Classics Major Gold Medal in 2015, has returned to UWinnipeg to upgrade her BA degree to an Honours Classics degree. She plans to pursue an MA and future PhD in Classics, alongside incorporating her Geography studies with her interest in studying women and women’s issues in the ancient world. She is currently vice-president of the Alumni Association Council. FORLANSKI, TAMARA (BA 4-yr 10) is a reporter/anchor with Global News in Winnipeg. She previously served as reporter and Noon Show anchor at the former CKX News in Brandon, Manitoba. She also received a Creative Communications diploma from Red River College. We’d love to hear what’s new with you! Please send your personal or professional update and a photo for Class Acts to: MACLEOD, FIN (Collegiate 10) moved to Ontario to pursue a degree at the University of Windsor. He has since lived in England, Italy, and The Netherlands, and currently resides in Chicago where he works for Skidmore, Owings & Merrill, a leading global architecture firm. GANADEN, RACHEL (BAH 11) obtained a Master’s Degree in Brain, Behaviour and Cognitive Science as well as a Diploma in Neuroscience from York University in Toronto. KORNELSEN, JONATHON (BScH 12) is a winner of the prestigious Sir William Stephenson Scholarships (also known as Intrepid). Kornelsen has explored much of Canada and has worked in Manitoba’s North. He is currently working on a second degree in teacher education. VERMETTE, KATHERENA (BA 4-yr 12) is a Métis writer and was the Carol Shields Writer in Residence at The University of Winnipeg for the month of March 2017. Her first novel, The Break (House of Anansi) was shortlisted for the Governor General’s Literary Award for Fiction, the Rogers Trust Fiction Prize and is now a finalist for Canada Reads. Collegiate grad who actively supports community learning. Now living in Toronto, she gives generously of her time and resources to support UWinnipeg’s Wii Chiiwaakanak Learning Centre, as well as the Duff Roblin Scholars Program, named for her late father, The Honourable Duff Roblin, former Premier of Manitoba. where he became a student leader: he headed the campaign to ban bottled-water sales on campus — a first for a Canadian university. He was pivotal in opening the campus daycare and UWinnipeg’s first student-run café. Vinay has launched several successful businesses since graduating, including the online sharing service WorkerDB. Do you have fond memories or funny stories from your time on campus? 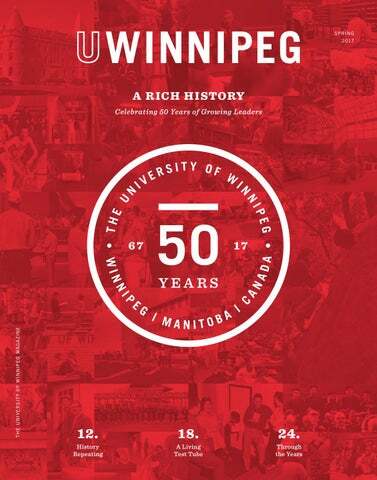 Help us celebrate UWinnipeg’s 50th anniversary with a hand-written note. On the postcard below, tell us about the time you took part in the Duckworth Rock Climb, the moment you locked eyes with your sweetie in Riddell hall, or the professor that helped shape your career path. We’ll be sharing all of the postcards we receive with the UWinnipeg community on campus and online. If snail mail isn’t your thing, you can also share your memories on social media. Make sure you use the hashtag #UW50 when you post to Twitter, Facebook, and Instagram so we can add your message to our special anniversary social media feed. Thanks for being part of our anniversary story — we look forward to your recollections! Help us celebrate our rich history of growing leaders who make an impact, as we commemorate the fiftieth anniversary of The University of Winnipeg’s charter.